Our test lab is equipped with test rigs to test & certify the performance of our products. 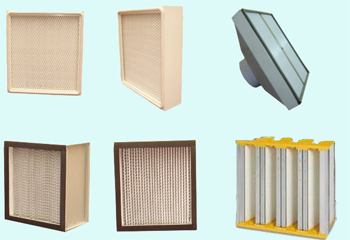 Hepa filter leak testing is done by photometer scanning method by using DOP / PAO smoke generated by a thermal aerosol generator or laskin nozzle aerosol generator. Overall Average filtration efficiency test using Particle counter and air flow characteristics tests also done. 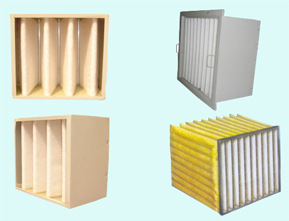 Facility for studying "Dust loading Vs Resistance Vs Filtration efficiency" characteristics, "Air flow rate Vs Resistance Vs Filtration efficiency" characteristics, Over all filter efficiency, Filter integrity testing is available. 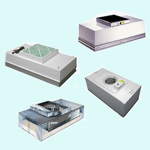 to conduct various tests on our products. All test instruments are calibrated on a regular basis. All raw materials, upon arrival at the factory are checked for compliance to specification before issuing to the production line. All critical raw materials like filtration media, sealants etc are directly purchased from reputed manufacturers only. 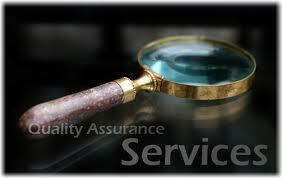 Inspection is carried out at every stage of the manufacturing process. Only quality approved products are dispatched to the customers. Batch testing is done for Super fine, Fine and Pre filters. 100% percent testing in the case of Hepa filters. Each filter is accompanied with its unique test certificate with the serial number of the filter. 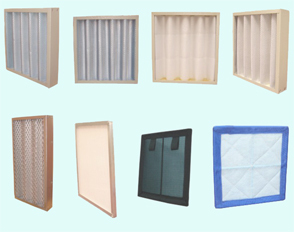 Complete quality record and test results are maintained for all the Hepa filters manufactured.